"His influence in the North is unimaginable." CJ Entertainment has just released a new full-length official trailer for a political thriller titled The Spy Gone North, which first premiered at the Cannes Film Festival in the Midnight section earlier this summer. If you're into political thrillers, this is definitely a must see. The latest from Korean filmmaker Yoon Jong-bin (The Unforgiven, Kundo: Age of the Rampant), the double agent film follows a South Korean spy who infiltrates the North to obtain intelligence on the country's nuclear weapons plans in the mid-1990s. This stars Hwang Jung-min, Lee Sung-min, Cho Jin-woong, and Ju Ji-hoon. The new trailer is as intense and compelling as the first teaser previously, but with even more clarity. This seems like such a sneaky, complex noir thriller and I'm very curious to check it out myself. You can still watch the teaser trailer for Yoon Jong-bin's The Spy Gone North here, to see the original tease. In the mid-1990s, a loyal South Korean secret agent (Hwang Jung-min) is caught in a political vortex plotted by the ruling classes of North and South Korea. The film is loosely based on the true story of Park Chae-seo, a former South Korean agent who infiltrated North Korea's nuclear facilities. 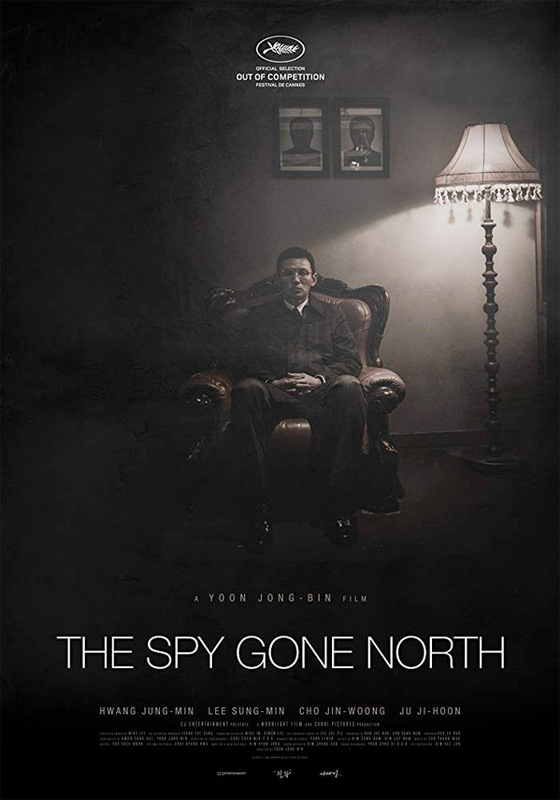 The Spy Gone North, also known as Gongjak, is written and directed by Korean filmmaker Yoon Jong-bin, of the films The Unforgiven, Beastie Boys, Nameless Gangster: Rules of the Time, and Kundo: Age of the Rampant previously. This first premiered at the Cannes Film Festival in the Midnight section this year. It's set to open in Korea in August later this summer. CJ Ent. will bring Yoon Jong-bin's The Spy Gone North to the US for release sometime later this year. Stay tuned for the exact release date. Looking good? Who wants to see it?